Katana Zero lets you play as a time-manipulating ronin named The Dragon. You are after someone, and there are a lot of bad guys in your way. Watch the trailer below to learn what The Dragon does to people in his way. As publisher Devolver Digital describes it, Katana Zero is a “stylish neo-noir, action-platformer” where you slash, dash and leave a bloody trail behind you. Combat is acrobatic, fast and colorful (it’s mostly red, though). Like other games of this type, you die in only one hit, so you have to be precise and quick is you want to make it through a level. The game does give you a few tools to make things a little easier: You can deflect buttons back to enemies with a well-timed sword swing, and should you get hit and die, you can rewind time to before you screwed up. In the trailer, we can also see The Dragon throwing bottles, explosives and smoke bombs to gain a momentary advantage against the waves of heavily armed goons. The video’s description promises plenty of creative ways to dispatch of your foes, as long as you’re OK with being spontaneous. 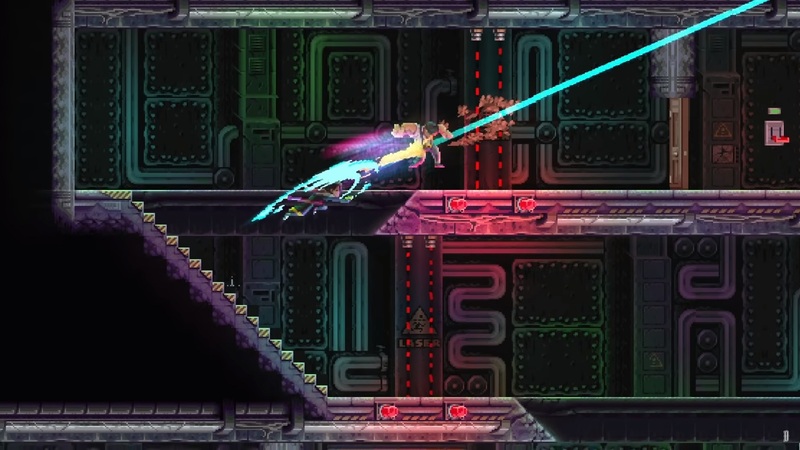 But for now, Katana Zero is coming to PC in March 2019.